This collection showcases images of hydroelectric power and water supply facilities built in Washington State from the late 1890s to the 1950s. Many of these dams, power plants and reservoirs were built in some of Washington's most rugged terrain and had features that represented significant engineering feats of their time. Many of the projects were conceived of and developed by important businessmen and politicians such as Reginald H. Thomson (City Engineer) and J.D. Ross, superintendent of the Seattle Lighting Department. Electron's water diversion system was considered an engineering marvel when it was built in 1904. Diablo Dam, at the time of its construction in 1929, was the highest thin arch dam in the world. The Power Plant at Snoqualmie Falls in 1900 was the first underground plant of its kind in the world. The 1925 Lower Baker River development, built using steam donkeys, dynamite and manpower, was regarded as one of the outstanding feats of engineering in the Northwest. The selection of images presented here are drawn in part from the Puget Sound Power and Light Company collection of their facilities on the Snoqualmie, Puyallup, White, and Baker Rivers. The Snoqualmie Falls Power Plant, the first of the power facilities acquired by PSP&L, was completed in 1900. It was placed underground to avoid damage from the freezing spray of the Falls during the winter. The Electron Plant, a hydroelectric facility on the Puyallup River, was designed in 1902 by Sam Shuffleton, a renowned engineer who managed hydroelectric projects throughout the West. The White River Power Plant, a hydroelectric facility on the White River, was built from 1909-1911. Its water storage was achieved by diking around four lakes on the Lake Tapps plateau and drawing water from the White River fed by glaciers of Mt. Rainier. The Lower Baker River development featured a design for a fish trap and other facilities for catching and elevating migrating salmon up and over the dam. Seattle City Light development of the state's hydroelectric power is represented by photographs of projects on both the Cedar and the Skagit Rivers. The Masonry Dam on the Cedar River was completed in 1914 and is located between the old 1904 crib dam and the powerhouse at Cedar Falls. The Skagit River Hydroelectric Project includes four facilities: Gorge, Diablo and Ross and Newhalem, constructed between 1918-1961. City Light's Newhalem Creek dam and powerhouse was built in 1920 to facilitate the construction of subsequent power facilities on the Skagit River. The Gorge Dam and Powerhouse were also started in 1920 and completed in September of 1924. The Diablo Dam was built at a location 7-1/2 miles upstream from Newhalem and completed August 27, 1930. 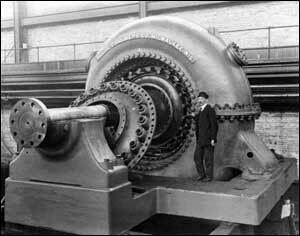 Due to the Great Depression, the Diablo Powerhouse was not completed until 1935, with the first power being generated in 1936. Contractors began construction of the Ruby Dam in 1937, later renamed Ross Dam in honor of James Ross, superintendent of lighting for City Light. The Ross Powerhouse began generating electricity in 1952. Also included in this digital collection are photographs of the creation of the Cedar River Water Supply system. As a consequence to the miserable performance of privately owned water systems during the Great Fire of June 6 that destroyed most of downtown Seattle, on July 8, 1889, Seattle voters approved creation of a municipal water system. In part due to the efforts of Reginald H. Thomson (1856-1949) then City Engineer, the Cedar River water supply system was developed and completed in 1901. This database was produced as part of the Western Waters Digital Library IMLS Grant. The images and text for Seattle Power and Water Resources Database were selected, researched and prepared by Sarah Weeks and Kristin Kinsey in 2002-2003. The photographs are selections from Frank J. Morrill Photographs. PH Coll 10, Historic American Engineering Record No. WA-24 (Skagit River and Newhalem Creek Hydroelectric Projects) Photograph Collection. PH Coll 627, Puget Sound Power and Light Company Photographs. PH Coll 269, the Seattle City Light Albums. PH Coll 45, and the Hiram C. Gill Photograph Album. PH Coll 46. The documents are selections from our Pacific Northwest pamphlet and book collections. The images and text were scanned in grayscale and color using a Microtek Scanmaker 9600L and saved in .jpg format. Some manipulation of the images was done to present the clearest possible digital image. The scanned images were then linked with descriptive data using the UW Content program. The original collections reside in the UW Libraries Special Collections Division.